Indiana Jones 5 is apparently finally going to happen, after several years of false starts, bogus rumors and alleged new casting announcements. And it looks like it’s cinematographer Janusz Kaminski we have to thank for having a part in revealing that production on the fifth installment to the beloved franchise could soon become a reality. 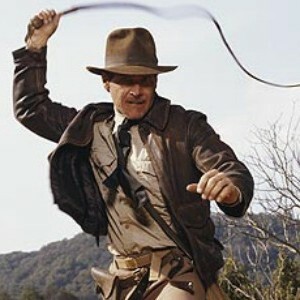 During a Variety expose on his career, it was flippantly reveled that Kaminski’s “next project is the upcoming fifth Indiana Jones movie.” While this appears to have been thrown in to the article as almost a last thought, Indiana Jones devotees quickly latched on to the revelation, taking it as indication that the fifth film has finally been announced, and that we can all finally try to move on from the cinematic nightmare that was Indiana Jones and the Kingdom Of The Crystal Skull. Harsh I know, but fair. But as he is 72-years-old, and currently in the midst of reprising his role as Han Solo for J.J. Abrams’ Star Wars: Episode VII, one could easily see Ford declaring that it’s time to pass the torch. Back in March it was reported that a date is already in mind for Indiana Jones 5, and that there are plans for Ford to be included. However, if the film wasn’t moving forward by that point, the rumor said that the studio could recast a younger Dr. Jones and start working on a whole new trilogy.